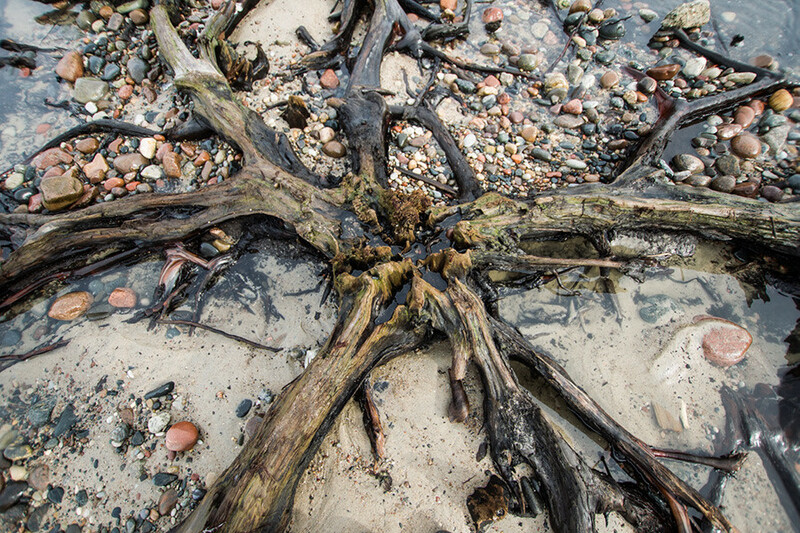 Easterly winds force tide to expose trunks in the sand. 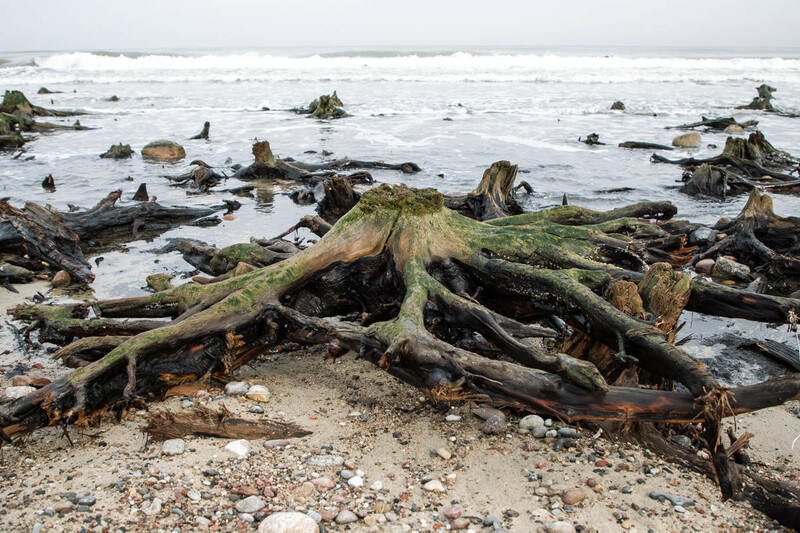 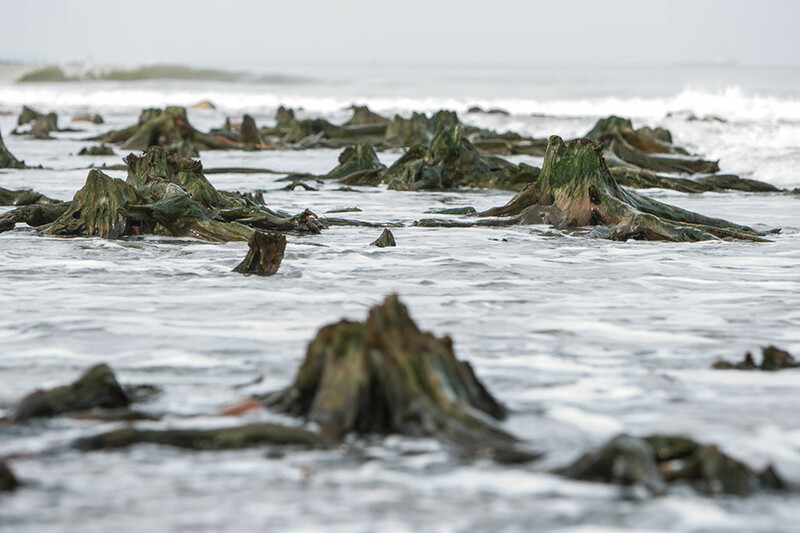 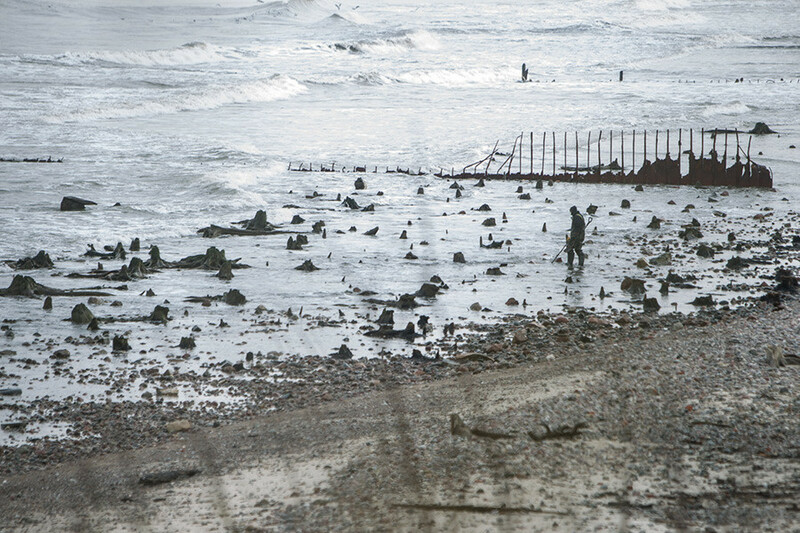 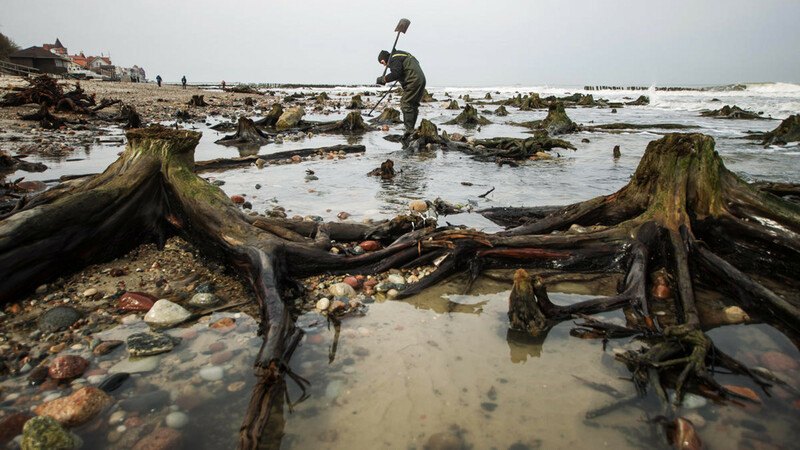 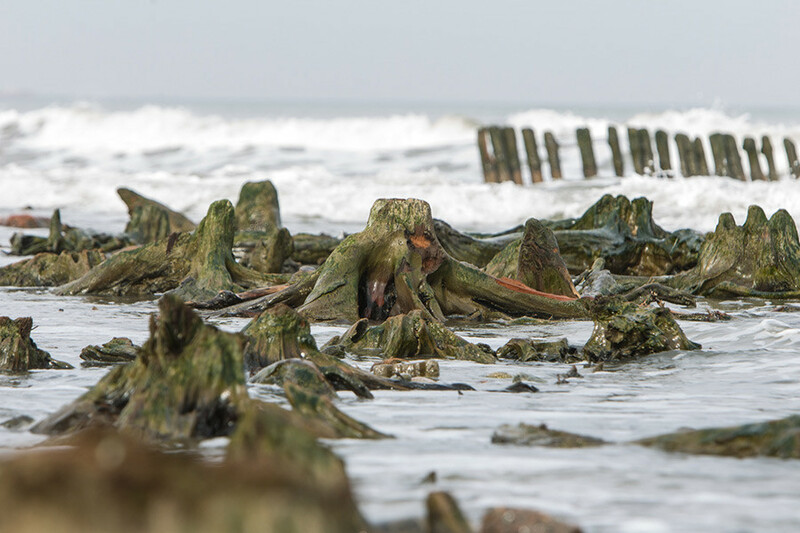 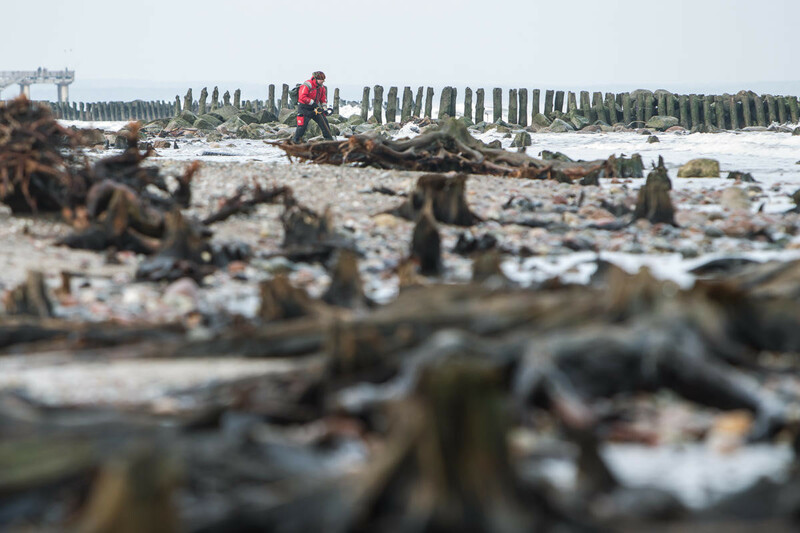 The remains of a mysterious ancient forest have been revealed in Russia’s Kurshskaya National Park (1,230 km west of Moscow, not far from Kaliningrad) after the tide rolled out further than usual. 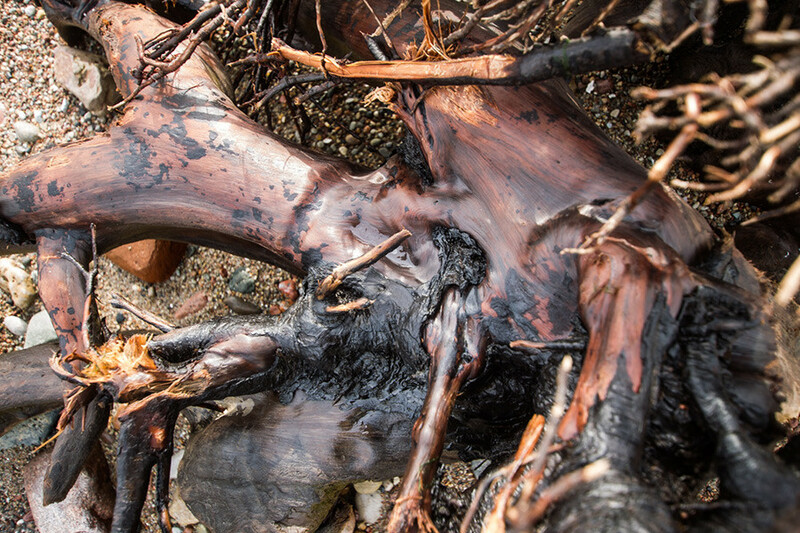 The trees are several hundreds of years old. 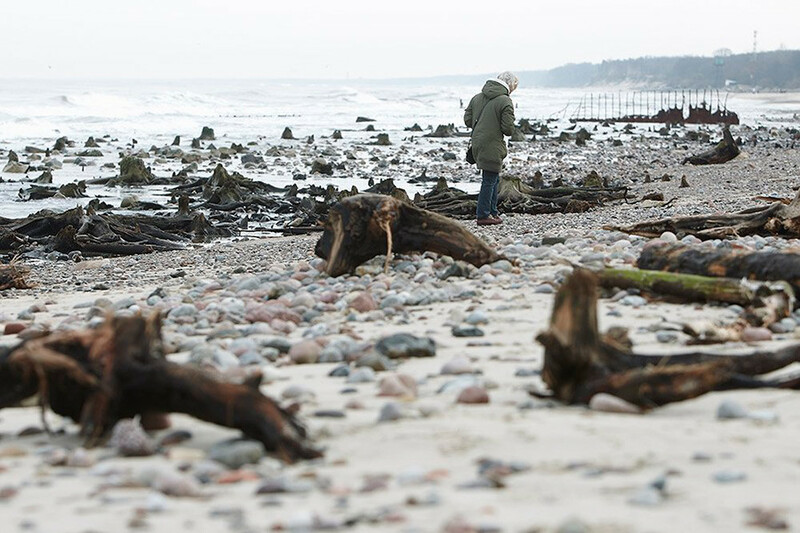 Normally the tide doesn’t recede so far along this stretch of the Baltic Sea, but due to easterly winds more of the coast line has been exposed recently. 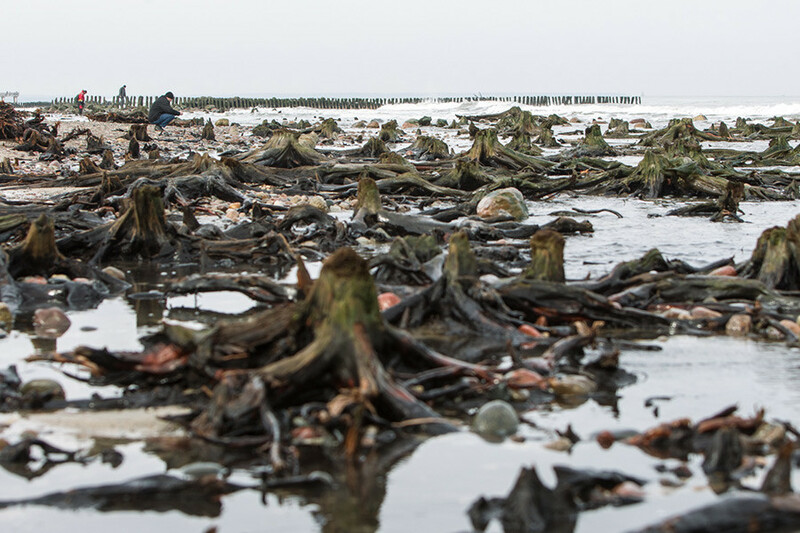 However, the water will soon reclaim the eerie forest.